This is a modders resource for Oblivion. 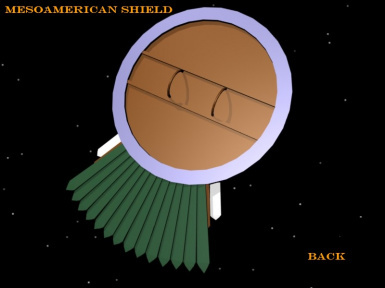 It contains a model of a Mesoamerican shield. The shield has not been sized or positioned to fit the arm so that will need to be done in Blender but should be easy to fix. The reason behind this is that the person implementing the shield may want to rotate the arm guard so that the feathers are pointed in different directions when held and it can easily be rotated while lined up with the xyz axis right now. The model has a UV Map and can utilize a single texture but somebody will have to create it (and the normal map). 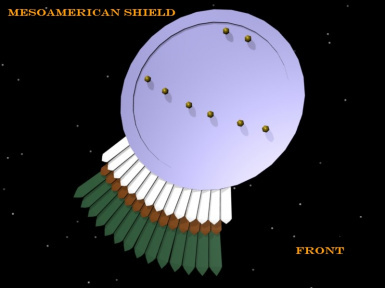 MesoamericanShield.nif - Exported example of the model in NIF format. 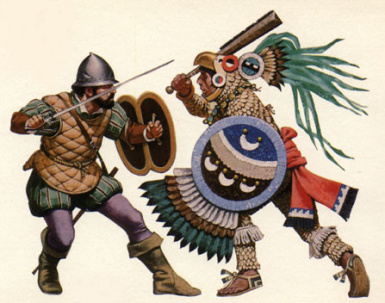 MesoamericanShield.dds - Example texture in DDS format so it can be seen in NifSkope. MesoamericanShield_Texture.pdn - Example texture created with Paint.NET. 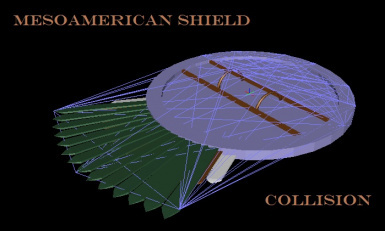 MesoamericanShield_UVMap.png - UV Map outline for use in any image editor. What is missing before it can be used in-game? This is to be considered a modders resource for TES4:Oblivion. All I ask is that you give credit for the model.